Songs of Seoul is an ethnographic study of voice in South Korea, where the performance of Western opera, art songs, and choral music is an overwhelmingly Evangelical Christian enterprise. Drawing on fieldwork in churches, concert halls, and schools of music, Harkness argues that the European-style classical voice has become a specifically Christian emblem of South Korean prosperity. By cultivating certain qualities of voice and suppressing others, Korean Christians strive to personally embody the social transformations promised by their religion: from superstition to enlightenment; from dictatorship to democracy; from sickness to health; from poverty to wealth; from dirtiness to cleanliness; from sadness to joy; from suffering to grace. 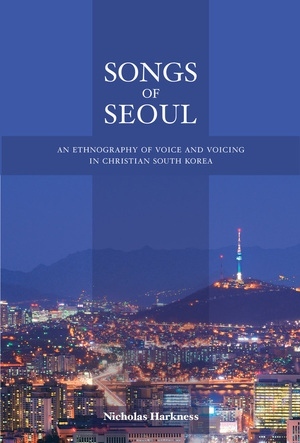 Tackling the problematic of voice in anthropology and across a number of disciplines, Songs of Seoul develops an innovative semiotic approach to connecting the materiality of body and sound, the social life of speech and song, and the cultural voicing of perspective and personhood. Nicholas Harkness is Assistant Professor of Anthropology at Harvard University. "Songs of Seoul stands out as a pioneering work that attends to the anatomical level of voice production and its linkage with the phenomenological level of voice production. 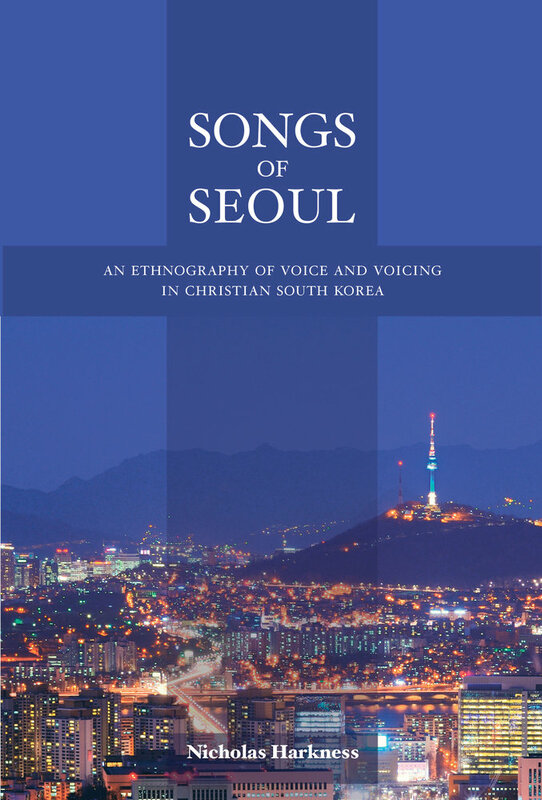 A truly ground breaking work on the semiotics of the human voice and vocal music in South Korean Christian culture."